Back home in Sydney, a long way from those sighing sands and the halcyon days of my summer holiday. My attorney has been busy and I am wearing her advice like a jewel. So here goes. Here’s to freedom. Here’s to scratching the surface and sniffing what’s beneath, delving deep into the decay of urban life and filling my fingernails with tiny sparkled glimpses of Australiana. First up: Panania with my secretary, the most organised creature I have ever met, an apparition of systematic accuracy to keep me on the straight and narrow, sharpen my pencil and remind me not to forget the baby. I looked up Panania before we left. I discovered little. It has a Digger’s Association (renowned for its expansive and family orientated alfresco entertaining, dining and function area), a number of churches, a vet, a hotel and a school. Venturing no further than the Panania cafe for a restorative cuppa we were delivered buttered toast and the story of the day Tony Abbott came to Panania. This set the tone well for the fibro gran-land that unleashed itself just metres from the scurry of tired shops that marked the centre. In a place where Gloria Jean’s is considered exotic, where the political spectrum narrows to a pinpoint – “You don’t name a park after yourself till yer dead, right? Bunch of monrgels that lot. 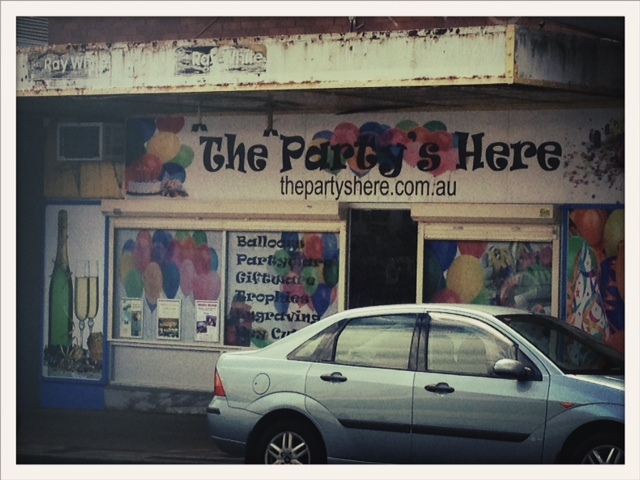 That Tony, he was lovely” – and where the cafe owner suggested we should have had our drinks at the amusement arcade because the baby would have liked the flashing lights, it was a relief to escape to the wide, tree-lined residential streets behind. Home to the archetypal quarter-acre block, each a patch of personal glory, these streets are a chorus of contentment, the ultimate expression of residential suburbia. Picture perfect, shaded by hundred-year-old gums, the houses are complacently normal with shorn concrete paths, sugar-soaped walls and neatly potted geraniums. The sun beats down on our backs, the birds squawk and carol from every tree and the thrum of a lawn mower adds a bass line. It is an 80s idyll, complete with legions of cortinas, toranas and geminis, lined up, freshly polished and ready to race. It is a nostalgic utopia. 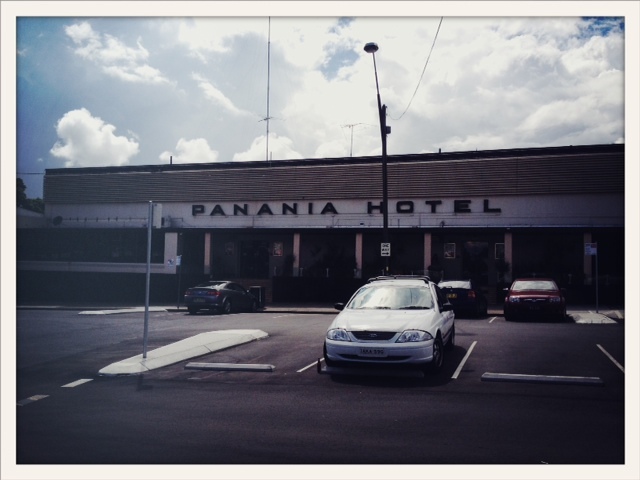 The Panania Hotel is a behemoth, slunk low beneath the railway lines. 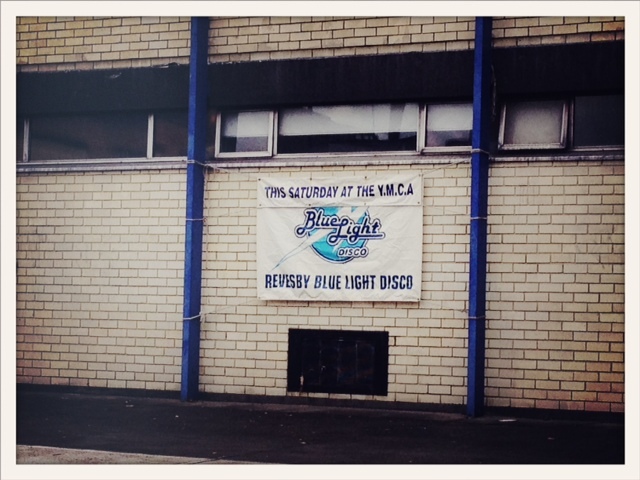 It too adds to the bygone scent that lingers in the air, with loud billboards spruiking the Mental as Anything gig in late February. The Mental’s salad years capture the lost paradigm that is Panania, heady days hanging on sunbaked streets, billycarts at dawn, longnecks at dusk, batwing jumpers and cruising the streets with souped-up-gemini-driving boys. Heaven. Those torana kids are kids no more. The few people we see stand proud and true, but there is a sense of tired resignation. The young have moved on, the older generation left to mow the lawns and adjust the tarp on the kids’ cars. The place is kept perfect of course, for when the family visits. Not a contemporary square concrete plant pot footing a spiky succulent in sight. Begonias, azaleas and agapanthas rule the borders here. Yesteryear is alive and well. 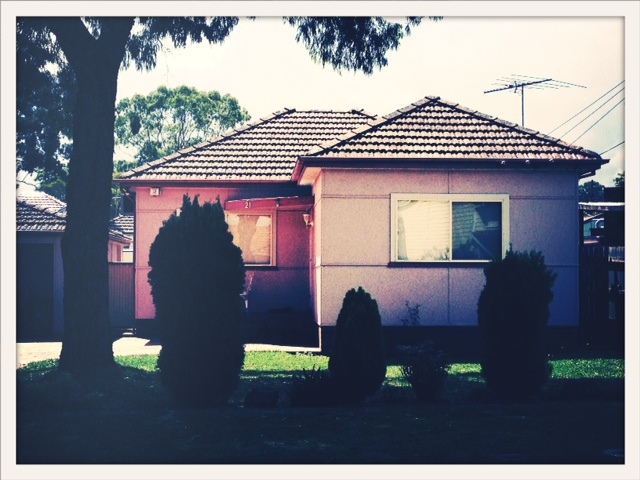 This entry was posted in Uncategorized and tagged 80s, agapanthas, Australiana, azaleas, batwing jumpers, Begonias, blue light disco, cortina, fibro, gemini, Gloria Jean's, Holden, Kiss & Ride, Mental as Anything, Panania, quarter-acre block, Revesby, Sydney, The Mentals, Tony Abbott, torana by Babelfishing. Bookmark the permalink.